A budget guide to Kyrgyzstan with plenty of info about the costs of living and backpacking in Kyrgyzstan. Kyrgyzstan is a country that is so beautiful that it defies the imagination. This country is truly one of the most beautiful destinations we’ve ever been to! 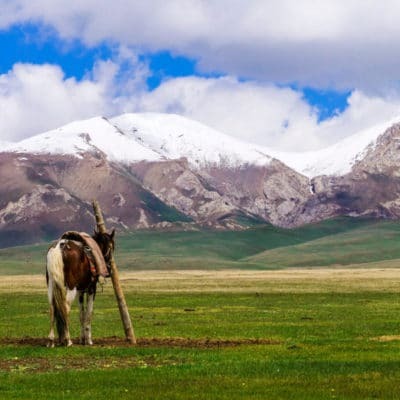 It’s a land of untouched mountains, lush valleys, crystal clear lakes, and centuries-old nomadic culture. 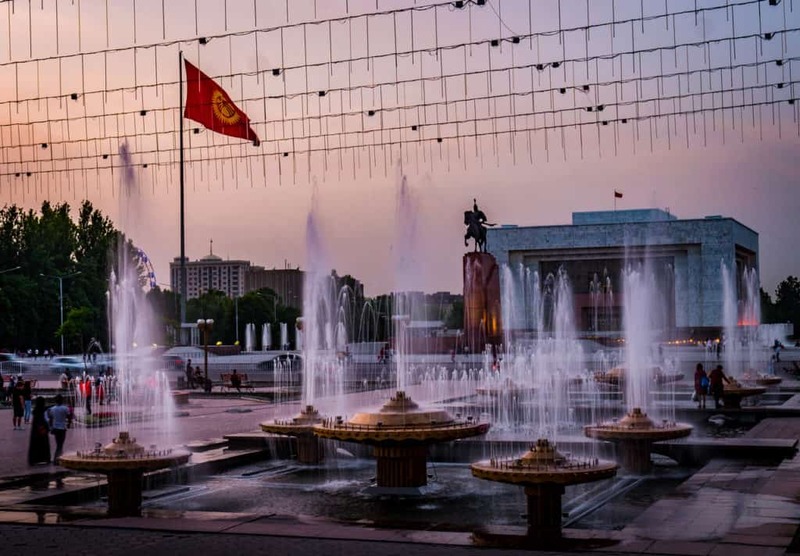 It’s not hard to understand why Cynthia and I lived and traveled there for a whole year when there were so many beautiful places to see and so many things to do in this little Central-Asian country. In general, Kyrgyzstan is a very cheap country to travel in, especially if you travel there during summer. You can camp almost everywhere for free and even if you don’t like camping, you won’t pay a lot for spending the night in guesthouses, homestays, and yurts. If you’re a budget backpacker, you’ll easily find a dorm bed in the big cities for $6 a night and you can have a big meal in a restaurant for less than $4. There are many different ways to travel around Kyrgyzstan. You can make it as expensive or cheap as you want. The most expensive way will be renting a car, the cheapest way will be to travel by public transport. Hitchhiking is also quite common in Kyrgyzstan but bare in mind that the Kyrgyz drivers might ask you for money when giving you a ride. Here’s a breakdown of the travel costs in Kyrgyzstan, written with the average budget backpacker in mind. I also added the costs of living in Kyrgyzstan, in case you would be interested in staying there for a long time like we did. How much does it cost to travel and live in Kyrgyzstan? 1. How much does accommodation in Kyrgyzstan cost? 3. How much does food in Kyrgyzstan cost? 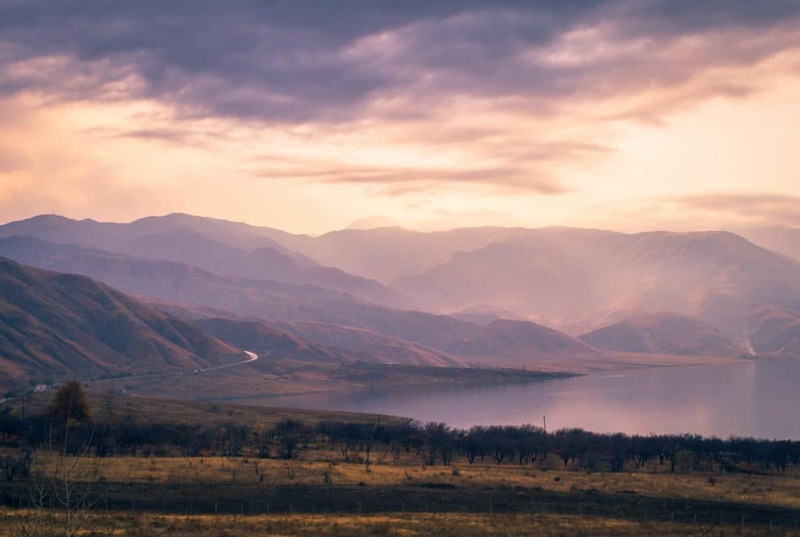 Planning a trip to Kyrgyzstan soon? If you have your own tent, you can camp almost everywhere for free in Kyrgyzstan. This stunning destination is a true natural paradise and it’s so easy to just pitch your tent and soak in the pure mountain air. 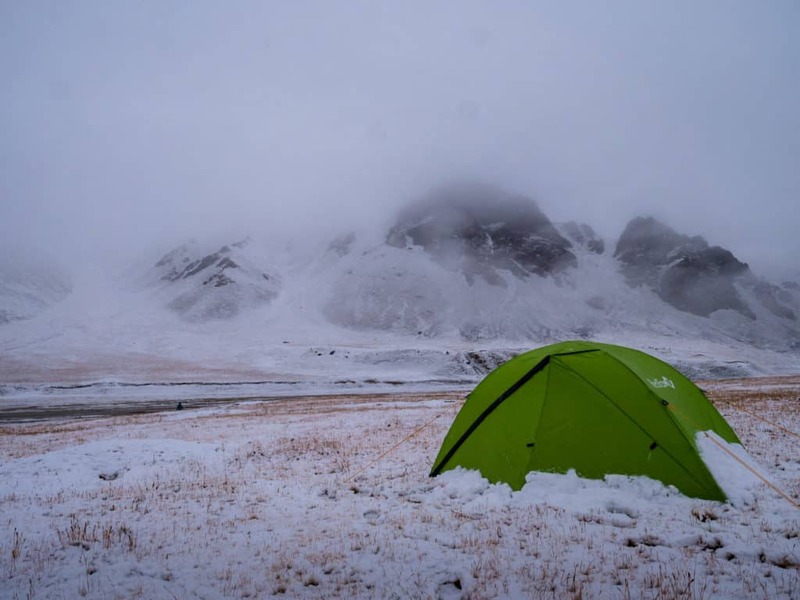 The best time to camp is between May and September but know that it can still get very cold, even during the summer months, if you’re high up in the mountains. This photo was taken in August when we were camping near Kel Suu lake at an altitude of 3500 meters. It can even snow in summer at this altitude! Ultimate Packing List for Camping and Trekking in Kyrgyzstan! In case you didn’t bring your camping gear but you still love to camp for a few days in the mountains, you can always rent camping equipment such as a tent, a sleeping bag, a mattress or a stove in Bishkek via the Trekking Union of Kyrgyzstan. You can find a list of all the mountain and trekking equipment they rent on their website with a list of prices. The equipment that you can rent from the Trekking Union is quite good. However, if you plan on doing a lot of trekking and camping, we do encourage you to bring your own equipment from home. 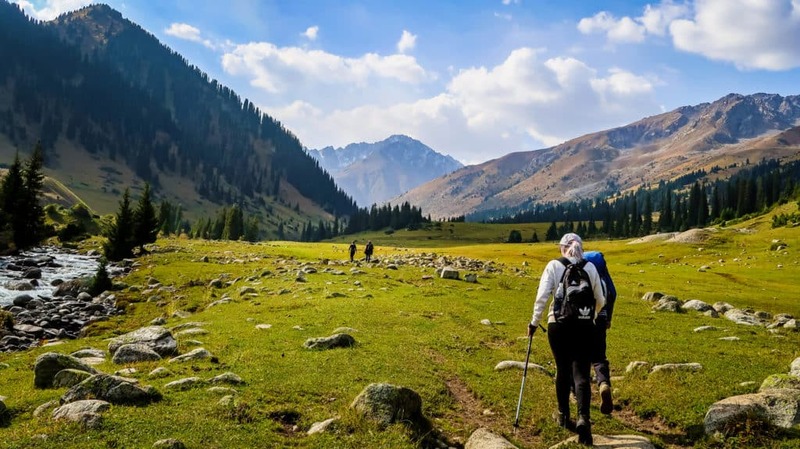 For the list of all the equipment and gear we recommend for camping in Kyrgyzstan, have a look at our Ultimate Packing List for Trekking in Kyrgyzstan. Another article I’d recommend you read, is our Trekking Guide to Kyrgyzstan in which I also give a complete overview of the costs of trekking in Kyrgyzstan in case you want to hire a guide and/or a porter, rent a horse, buy hiking permits and everything else you’ll need for an awesome hiking adventure in the mountains. A horse is the ideal hiking partner in Kyrgyzstan!! 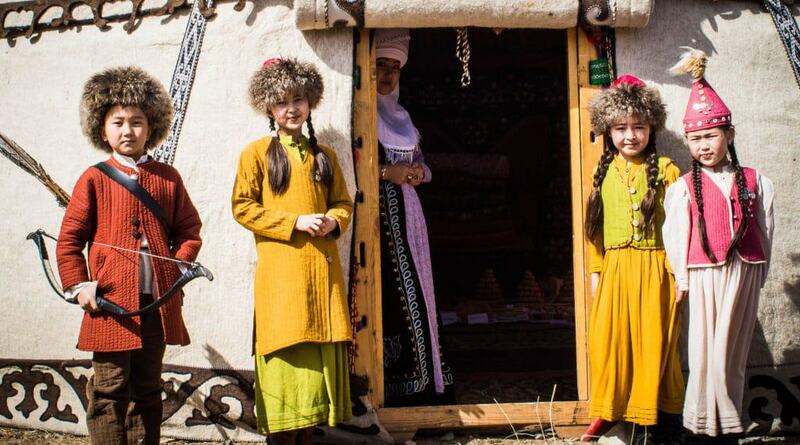 Yurts are the most important symbol of the Kyrgyz culture. They’ve been the homes of nomadic shepherds for thousands of years when they moved around the mountains and valleys. 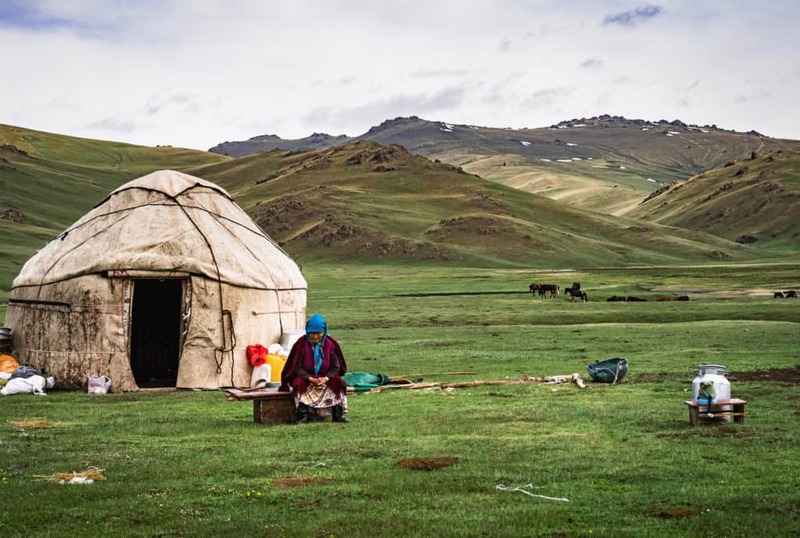 Nowadays the Kyrgyz shepherds still live in yurts but only during the summer when the valleys are lush and the pastures full of fresh grass for their cattle. If you visit Kyrgyzstan between the months of May and September, you definitely have to spend at least one night in a yurt! 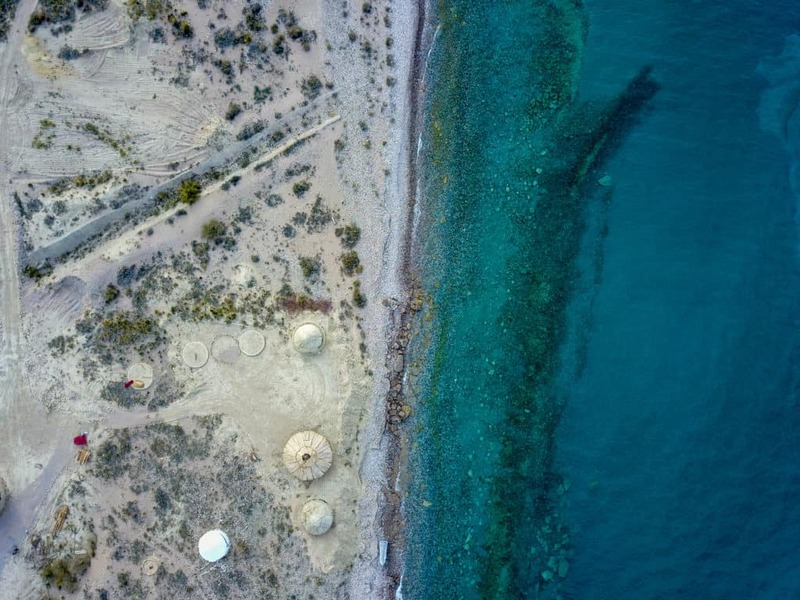 There are many yurt camps in popular places like Song Kul lake and lake Issyk- Kul that are build to host travelers. Staying in such a yurt camp usually costs between 700 and 1000 som ($10 – $14), depending on whether or not breakfast and dinner are included. If you’re traveling independently, you can usually just show up at one of these yurt camps and ask if there’s a place available for the night. 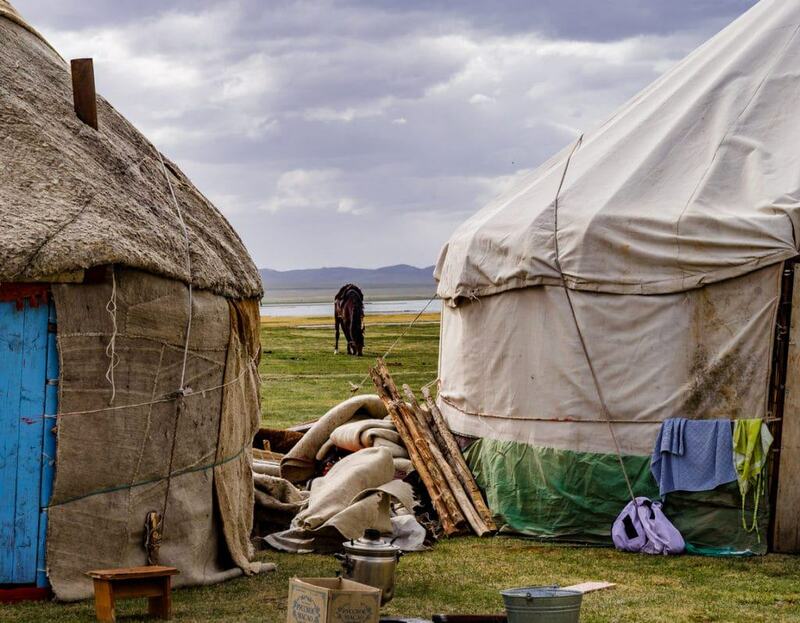 Depending on the facilities (meaning if it’s a ‘luxurious’ yurt camp or not), you could have a yurt for yourself or you might have to share one with other travelers. In some cases, you can book your yurt stay ahead of time through the CBT offices or even on booking.com! 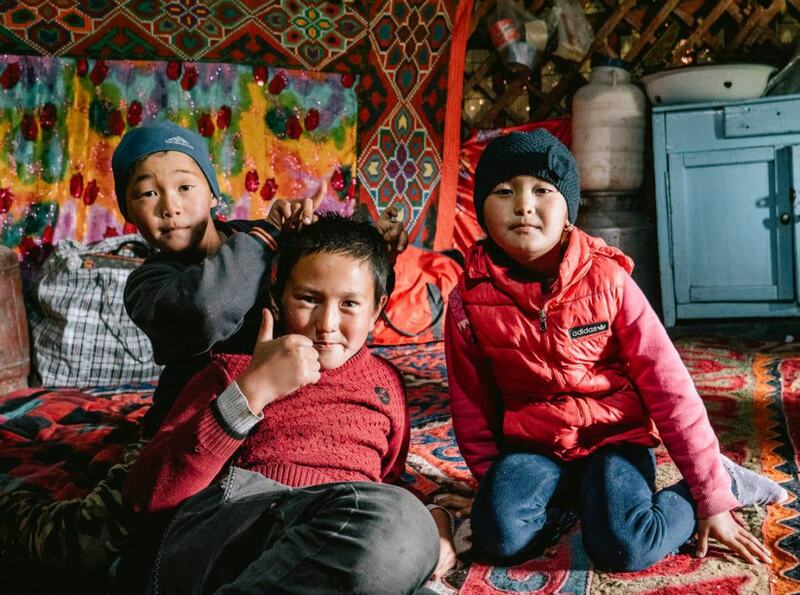 There are also still many ‘authentic’ yurt camps that are built to provide a home and shelter to the many shepherd families living in the valleys. Whenever you go on a trek through the mountains, you’ll come across many of these yurt camps. 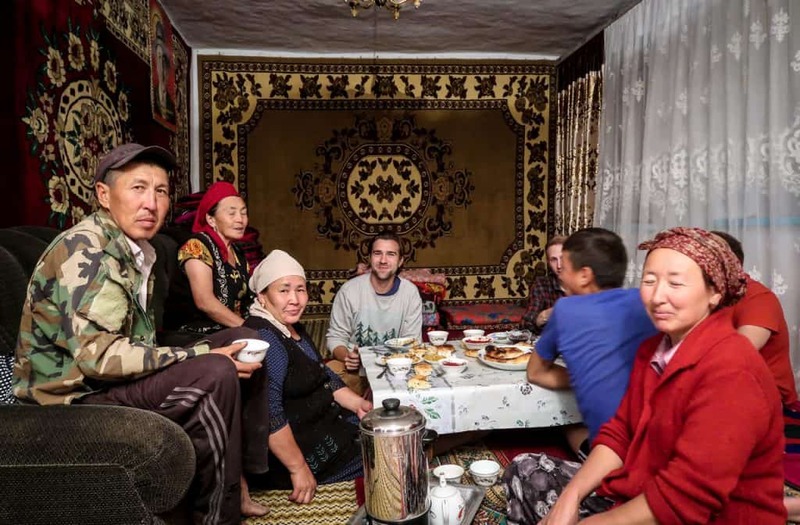 The families living there are always happy to see a foreigner and will welcome you in their yurt for a tea and a snack. You can ask the family to spend the night there and they’ll most likely welcome you. This will be the most authentic yurt stay as you’ll be sharing the yurt with the family and get a glimpse of their daily life and activities in the mountains. You might even learn how to milk a mare and taste the famous ‘kymyz’, the fermented horse milk that is a super popular alcoholic drink in Kyrgyzstan. 28 top things to do in Kyrgyzstan! Kyrgyzstan has a wide choice of hostels in cities such as Bishkek, Karakol or Osh. They are relatively cheap and ideal if you travel by yourself in the country and you want to meet fellow backpackers. On Booking.com you can already find a bed in a mixed dorm room starting from $6 per night. Guesthouses in Kyrgyzstan are slightly more expensive than hostels but they’ll provide the comfort of having your own room. You can easily book guesthouses in advance on booking.com. Prices for a nice double or twin room start at $12 per night. You can also rent a room or an apartment in Bishkek, Karakol or Osh on Airbnb (if it’s your first time on this site, get your discount here!). This is a good option if you want to have more privacy and enjoy a little rest after or before your trekking adventures in Kyrgyzstan. In case you can’t find a hostel or a guesthouse in the town you travel to, you’ll have the option of staying in the home of a local family, which is called a ‘homestay‘. These homestays are usually cheaper than a guesthouse but offer less comfort, meaning that there won’t always be a western toilet or a hot shower available. However, we loved staying in homestays as they gave us the opportunity to experience and learn more about the Kyrgyz way of living. While we were traveling in Kyrgyzstan for nearly a whole year, we rented an apartment right in the city center of Bishkek that functioned as our home base. All expenses considered, apartments in Kyrgyzstan are very cheap. Our apartment had one bedroom, a living room, a kitchen, a separate bathroom, a toilet, and a very good internet connection. We paid 300 USD a month for the apartment and about 25 USD for utilities(gas, water, wi-fi). Our suggestion is to look for housing before or after the high season (May – September) as the prices will be lower. There are many different ways to find an apartment in Kyrgyzstan. It’s possible to find them through Airbnb, Facebook groups and through some phone apps. You could also find an apartment through a real estate website or agency but I wouldn’t recommend it as the prices they charge are always much higher. Although apartments in Kyrgyzstan on Airbnb can be quite expensive, most hosts give a good discount if you rent per month. It’s also possible to send them a private message and negotiate the monthly price, especially when you want to rent the flat during low-season. Get your discount for Airbnb here. There is a great Facebook group on which you can find apartments to rent called Expats in Bishkek. You can write a post in the Facebook group directly with your preferences. For example: “I’m looking for a one bedroom flat in the city center of Bishkek for $250 per month”. You can also find people in these groups who are searching for a roommate. There are also groups called Expats in Osh and Expats in Karakol. There groups have fewer members than the Bishkek one but it’s worth joining them if you’re planning on basing yourself in Osh or Karakol. 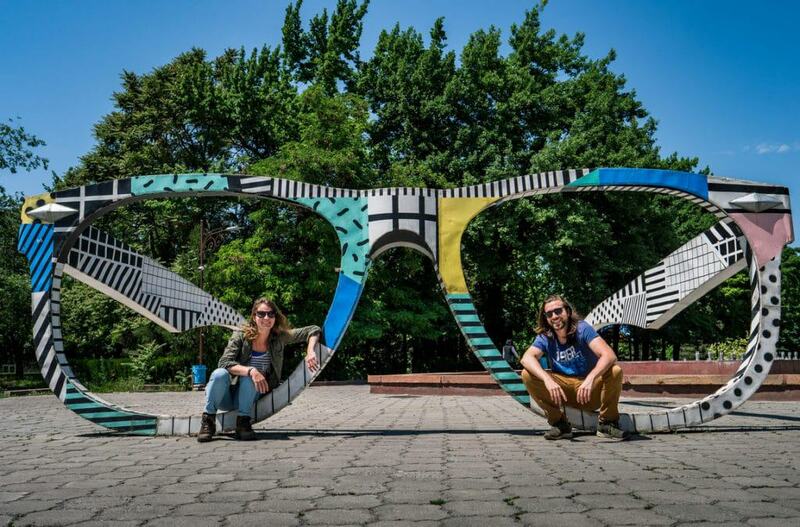 We chose Bishkek as our base as it was easier for our 2-monthly visa runs into Kazakhstan. One good website that is also has a phone app and that can help you find an apartment in Kyrgyzstan is Lalafo. The website itself is in Russian but you can translate it if you are using the Google Chrome web browser. It’s a classified ad website so you can find tons of properties and apartments advertised there for the whole country. 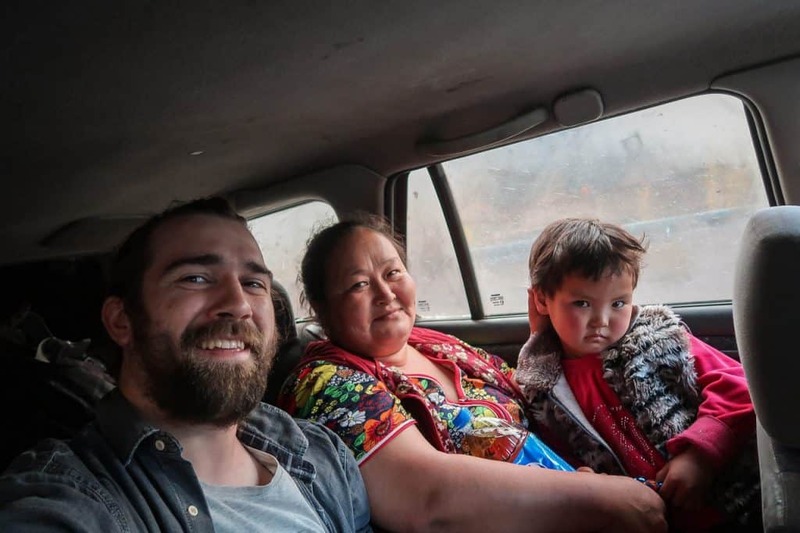 Getting around in Kyrgyzstan by public transport costs very little. 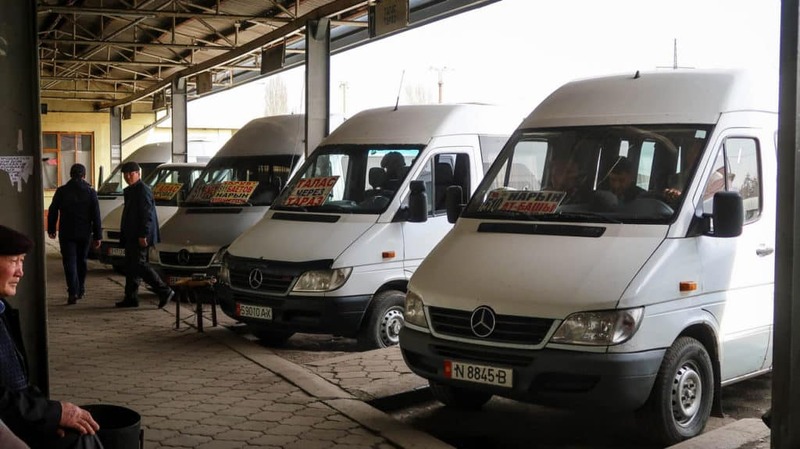 There are shared taxis and marshrutkas (minibus) linking most of the cities and villages of the country. Hitchhiking or renting a car are also possibilities and if you’re on a tight schedule and want to save time, you can always take a domestic flight from Bishkek to Osh. Hitchhiking is quite common in Kyrgyzstan and it’s not unusual to see people standing by the side of the road asking for a ride. One thing that you have to keep in mind though is that people will usually pay the drivers that pick them up for the ride. This means that any private car can potentially become a taxi. We came up with the formula of paying 5 som per km when hitchhiking in Kyrgyzstan. This is more than what you pay for a marshrutka (public minibus) but less than if you would take a shared taxi. This seemed to work well, most of the time. If you want to hitchhike but you don’t want to pay for the rides, you’ll have to tell the driver before getting in the car. 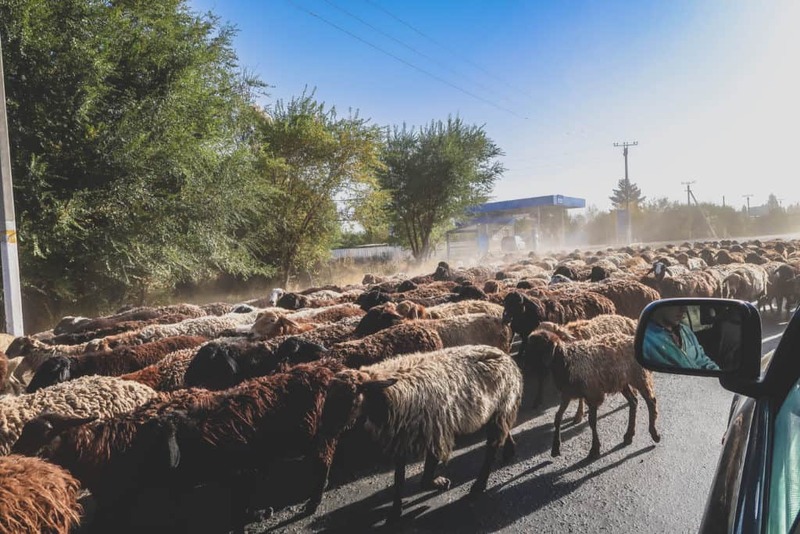 Read more about our hitchhiking experiences in The pleasant and unpleasant surprises of hitchhiking in Kyrgyzstan. Renting a car in Kyrgyzstan isn’t only affordable but also very practical if you want to reach remote places such as Kel Suu lake and Song-Kul. You can travel on your own tempo, camp along the way and you’ll see sides of the country that you wouldn’t if you’d be traveling by public transport. The price of renting a car per day depends on which city you’re renting it from. If you want to rent a car in Bishkek, we highly recommend renting from Iron Horse Nomads. They have high-quality 4×4 vehicles and can advise you on which routes to take to access remote locations around the country. Their car rental prices start at 21 USD per day. A marshrutka is a minibus that looks like a van and it’s the cheapest and most popular means of transport for the locals to travel in Kyrgyzstan. It’s very easy to take a marshrutka to get around Kyrgyz cities or to travel between two different towns. However, it’s not the fastest way as they stop everywhere to pick up passengers. In our Backpacking guide to Kyrgyzstan, we explain how to take marshrutkas within the major Kyrgyz cities. The standard price for a ride within a city or town is 10KGS. It can be a bit confusing to take marshrutkas since they all have a different number and they don’t follow a fixed schedule. You can always ask in your hostel or guesthouse which one you need or you could use the apps Bus.kg and Maps.Me. The first app tells you the route of each marshrutka, with the second app you type in the name of your location and destination and it will give you which marshrutkas are going there. Getting a marshrutka between cities and towns is a bit more expensive. The prices depend on how far you want to go and how popular the route is but the average price is around 300KGS for a 4-hour ride. You can get a marshrutka from Bishkek to most of the major cities and towns in Kyrgyzstan at the Western bus station. After paying for your ticket, you’ll receive a receipt that you have to show the driver before you get on the marshrutka. The minibus leaves when it’s full. 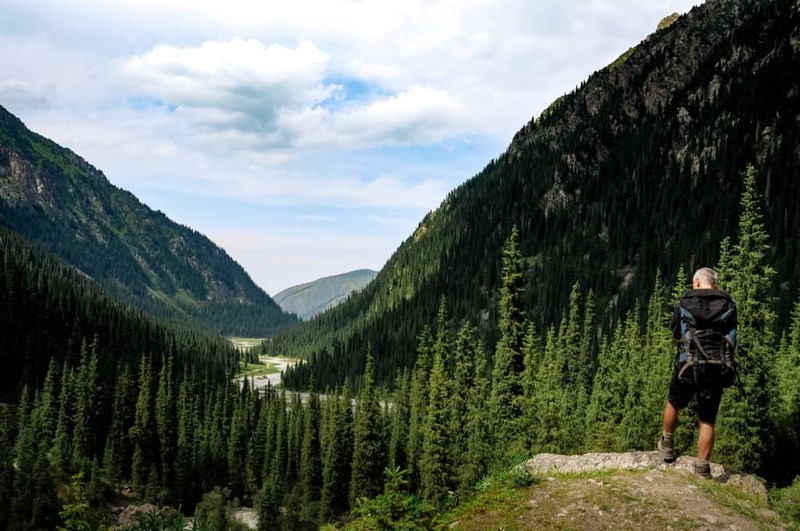 There aren’t many buses between cities due to the fact that Kyrgyzstan is a mountainous country and for safety reasons, the buses are not allowed on the mountain passes connecting the cities. The only places where you can take a city bus in Kyrgyzstan are Bishkek and Osh. They are generally less crowded than the marshrutkas, slightly cheaper (8KGS) and slower. You pay the driver once you get off the bus. There is only one (night) bus that you can take in Kyrgyzstan. It connects Bishkek and Karakol. 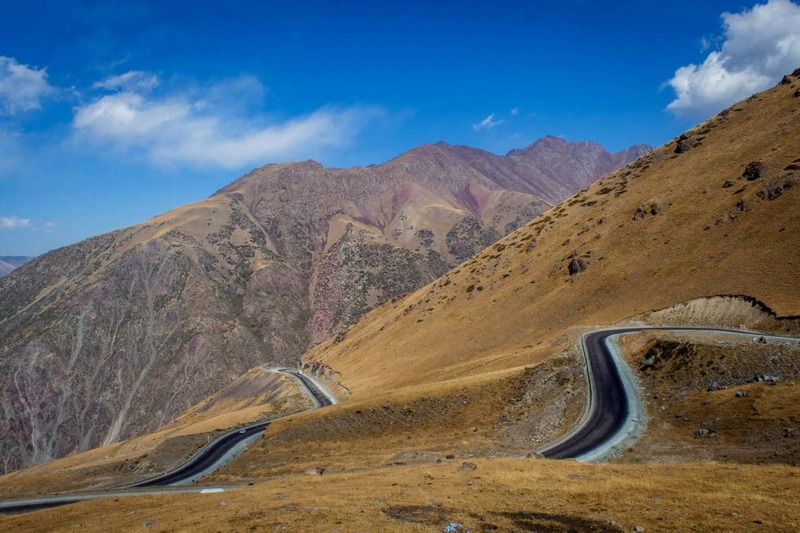 It leaves Bishkek at 9, 10, and 11 PM and takes 6 hours to reach Karakol. A bus ticket between those two cities cost 350 KGS. Shared taxis in Kyrgyzstan are more expensive (about twice or triple the price of a marshrutka) but a faster way to get around. These taxis are shared with other people and you split the costs so you pay per seat. Some taxi drivers like to double the rate for unwary tourists so if you don’t want to get ripped off, make sure that you ask your hostel/hotel about the rates or ask the other passengers how much they pay. The standard price for a long distance ride should be between 800KGS and 1200KGS per person. The best way to get from Bishkek to Osh (or vice versa)if you have time, is by shared taxi. For this 12-hour ride, you pay around 1500KGS per person. If you want to take a taxi within Bishkek and you can’t be bothered by bargaining for the price, use the Namba taxi app. This app is similar to Uber. Kyrgyzstan is a small country but driving between some of the country’s major cities takes ages as you’ve got to cross many mountain passes. Let’s look at the driving time between Bishkek and Osh for example. It’s a twelve-hour drive to reach the southern city from the capital. With really cheap flights between the two cities, the easiest and fastest way to travel between Bishkek and Osh is to take a direct flight. It takes less than one hour to fly from Bishkek to Osh or vice versa. For domestic flights in Kyrgyzstan, check the website of Air Kyrgyzstan and Air Manas. You can already find flights between Bishkek and Osh from 40 USD. No matter where you are in the world, the cheapest way to eat is always by buying food from the local supermarkets and cooking it yourself. While we were living in Kyrgyzstan, Cynthia and I would buy our groceries in a local supermarket and it saved us tons of money. Prices for meals in restaurants in Kyrgyzstan are also relatively cheap. You can already have a good and hearty meal for $5 in a restaurant in a small town. Just be aware that Kyrgyzstan has this strange custom in which the waiter or waitress leans above your shoulder as soon as you sit down and assumes you’re ready to order within 10 seconds. Just kindly ask them to give you at least 5 minutes. Most meals consist of mutton, beef and chicken meat, served in dumplings, on top of noodles or rice or alongside potatoes. A restaurant we often went to while we were living in Bishkek to have a traditional Kyrgyz meal is restaurant Arzu. Here’s a break-down of the average costs of what we paid for shopping and eating in restaurants in Kyrgyzstan (price in USD). 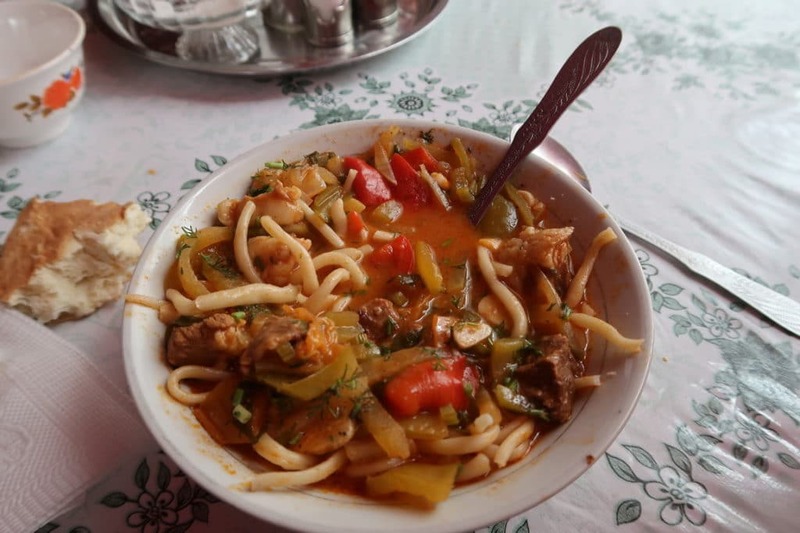 A half-eaten bowl of traditional Kyrgyz noodles… we always forget to take proper food pictures before starting to eat. Sorry. You can make your trip to Kyrgyzstan as cheap or expensive as you want. But the best things in Kyrgyzstan, its stunning nature and majestic mountains, come completely free! All the hiking trails and national parks of the country are free to visit so it’s a paradise for hikers and nature lovers on a budget. We were able to travel around Kyrgyzstan for a whole year and do tons of fun activities without breaking our budget. * This article contains some affiliate links and If you book your accommodation through the links in this post, we’ll receive a small commission at no extra costs for you. This way you’re helping us writing more informative and awesome guides like this. Thank you!